Great post! 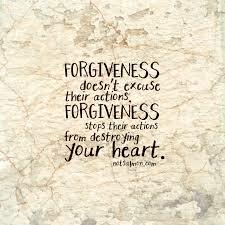 Forgiveness is important, but it’s so difficult to overcome one’s past. I forgave my parents for not handling my cancer diagnosis well. I had to be the strong one, but I see that they loved me, just couldn’t support me.